A Mosque Earlier this week was Martyred in Indian Capital New Delhi by DDA. 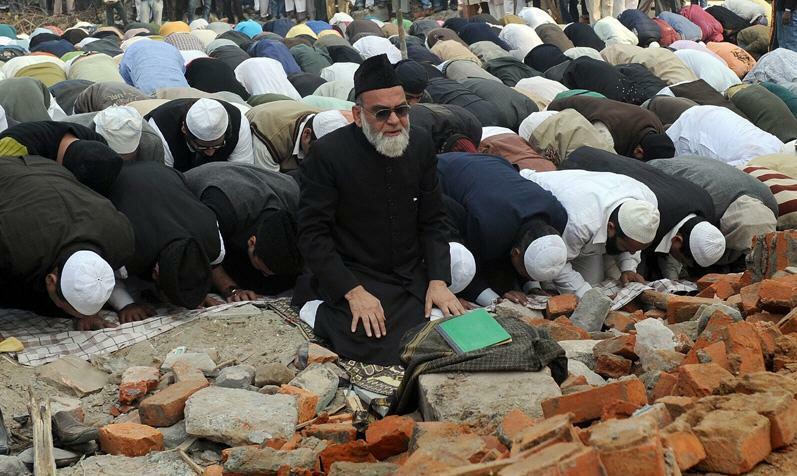 Following is the Photo of Imam Jamia Masjid Delhi Imam Bukhari who is leading the Prayer at the place where Mosque was Martyred. Till now many mosques are martyred by Hindu Extremists in different parts of India.